In collaboration with Brendan Walker, Matthew created an interactive musical engine for a virtual roller coaster that used body and brain monitoring of riders and participants to generate both the music for the ride, and the accompanying light show via the virtual reality headset Oculus Rift and a pneumatic seat. 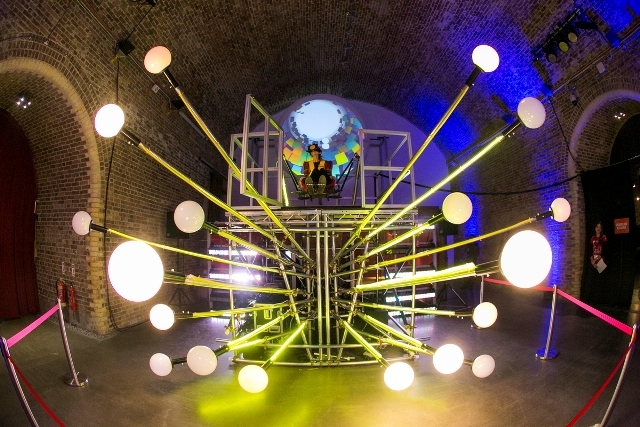 Billed as “the world’s first neuro-driven thrill ride” Neurosis was premiered at NESTA Futurefest 2015. Neurosis from Brendan Walker on Vimeo.